Earn $17.50 in VIP credit (1750 points)What's This? The Q-Rings 130 BCD (Outer Aero) feature CNC-machined aeronautic-grade 7075-T6 aluminum alloy and steel shifting pins. Designed to work with the body’s biomechanics, the Q-Ring is characterized by 10% ovality. This slight change in shape produces greater pedal stroke efficiency and reduced fatigue. 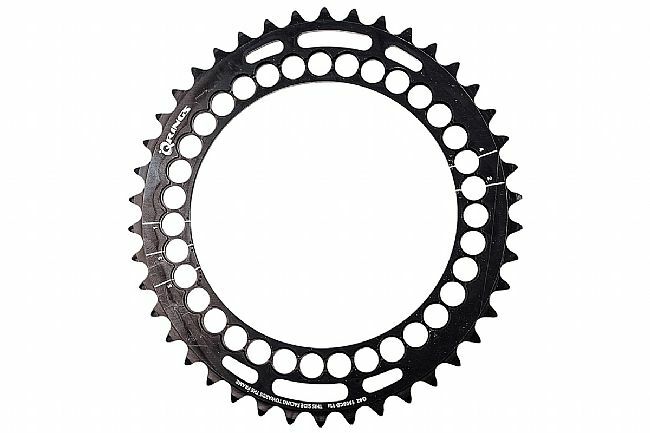 The Outer Aero 110x5 BCD Q-Ring is compatible with 9, 10, and 11-speed groupsets.